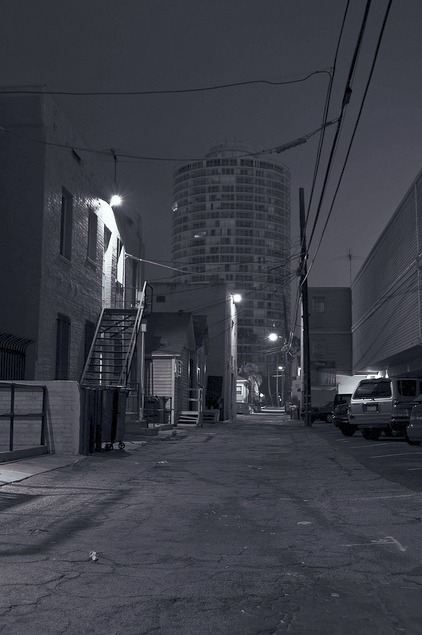 LA Alleys contributor Erwin Recinos sends us this shot of Long Beach, proving, yet again, that the city of Los Angeles does not have a monopoly on noire. I decided recently that one way to improve my photography would be to examine the images of some of the masters, and then go out and try to capture some of those qualities in my own shots. The day I took this I had Eugene Atget in mind. He took thousands of photos of Paris around the turn of the century and was known for his urban documentary style, so I chose the city of Long Beach as my subject. Some of the qualities I was trying to capture in this shot were a broad tonal range, layering of light, and the use of positive and negative space. I also used a 3-stop neutral density filter so I could use a long exposure (in this case 5 seconds at f/25), as he would have used in the old days. 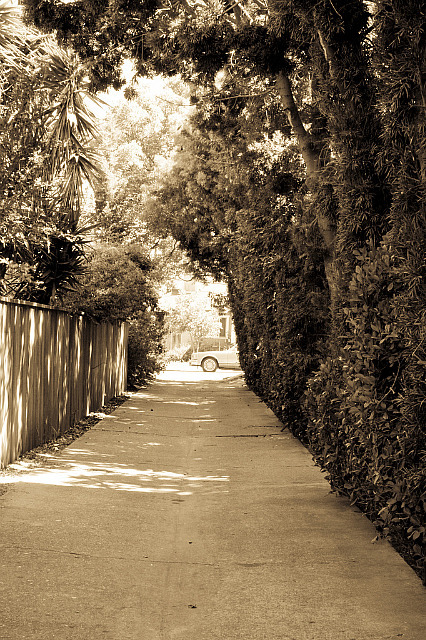 Have you found inspiration in a Los Angeles Alley? Email us.